Rolling out of bed at 8:00am, I putter around my dark hotel room. I’m getting ready for my last full day in Scotland and I’m spending it with Àdhamh Ò’Broin the Gaelic consultant famously known in the Outlander fandom for consulting on the show. He is taking me around Argyll a western county of Scotland. No it’s not pronounced “Adam” like you might think though he’s ok if you say it like that. Instead, think of the word “agave” such as agave syrup. The first part “uh-gav” before you say the “ay” sound at the end is the closest pronunciation of his first name so it’s just uh-gav. Oh and he’s a “gah-lic” consultant not “gay-lic”. Are you keeping up? The night before I was convinced he forgot about me because I hadn’t heard a peep regarding the meeting time and place for the following day. Finally I messaged him at 1:00am (my Vodafone chip just ran outta minutes earlier that day!) after my exciting adventure earlier that evening. I’m a planner and I discover that Àdhamh is a little more laid back as he texts me with a 9:00am confirmation shortly thereafter. Gotta get to sleep! Argyll is the chosen location for Àdhamh because he grew up in the area. It takes up a long swath of Scotland’s west coast encompassing some well known destinations such as Loch Lomond, Oban, the Hebrides Islands and others. Àdhamh doesn’t drive so I pick him up in Glasgow. 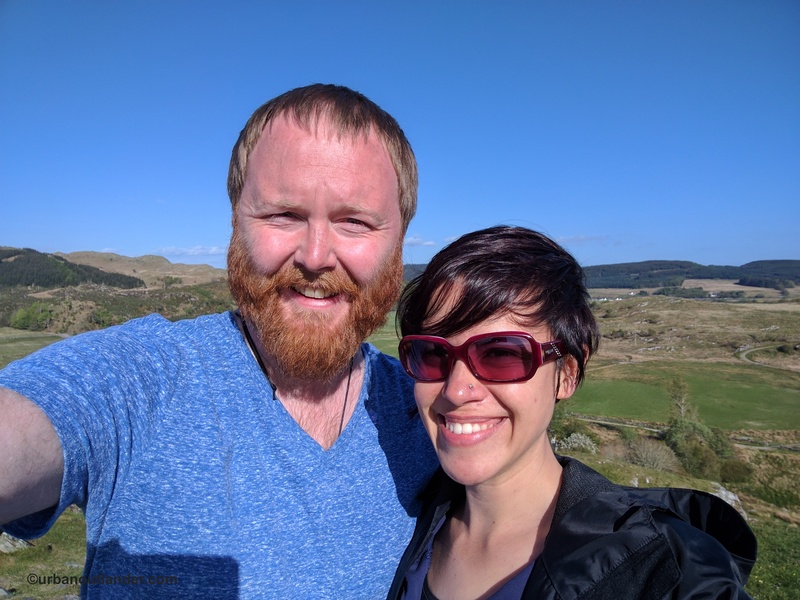 He’s very laid back, has a great sense of humor, and is seriously passionate about Gaelic culture whether it’s through old folk music, storytelling, or just embodying the goodwill and generosity of a people whose history are embedded in the land. Like most modern Scots, the Gaels as they are known moved away from a rural lifestyle and adapted to an urban one but he’s most interested in preserving the heritage. After spending three days with Hugh Allison, Àdhamh is a little bit more unconventional in his tour style and more at liberty to give his particular view on Scottish politics and history. By this point I’ve been driving around Scotland for a week so I’m fairly comfortable but still despise roundabouts! 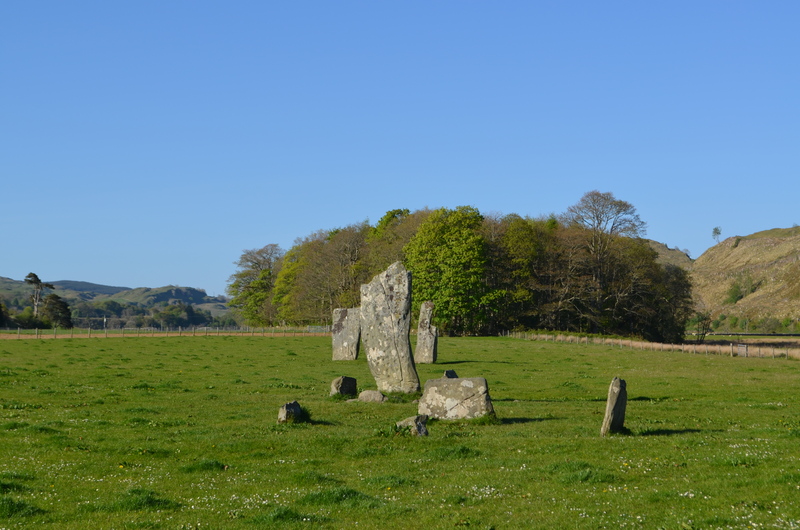 Our first stop in Argyll is a little over an hour from Glasgow. According to its website it’s “the most complete surviving example of a Highland farm township, a type of settlement representative of much of Scottish rural history.” A quiet place off of the A83 (a major road out of Glasgow) and near Loch Lomond, this village has a few stone homes with thatched roofs that have stood for the last two hundred years. Old cast iron cookware, a stone and wood barn, small rooms with beds that look awfully thin after a long day working the field, stand still in time as you walk through the places where people lived and worked. 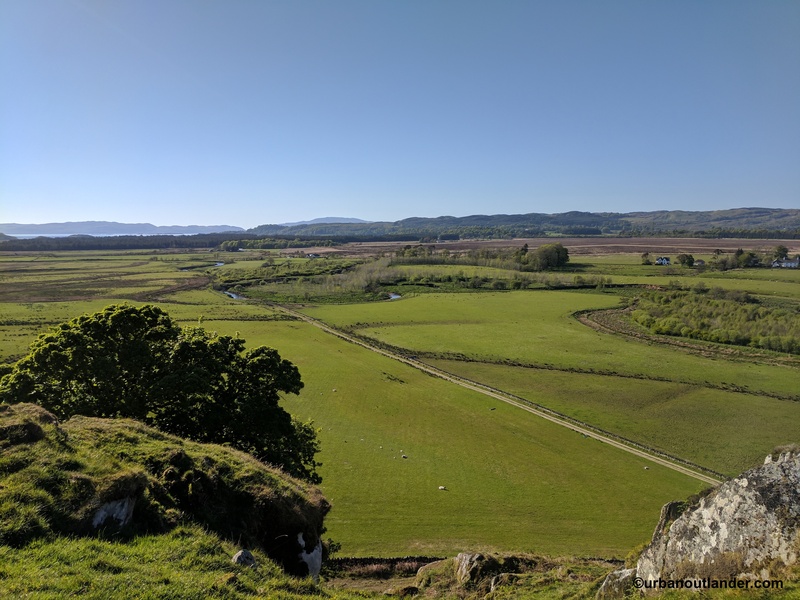 Though not a living museum like the Highland Folk Museum, there are volunteers who preserve the place’s heritage with some farming along with a few sheep and chickens and general upkeep. 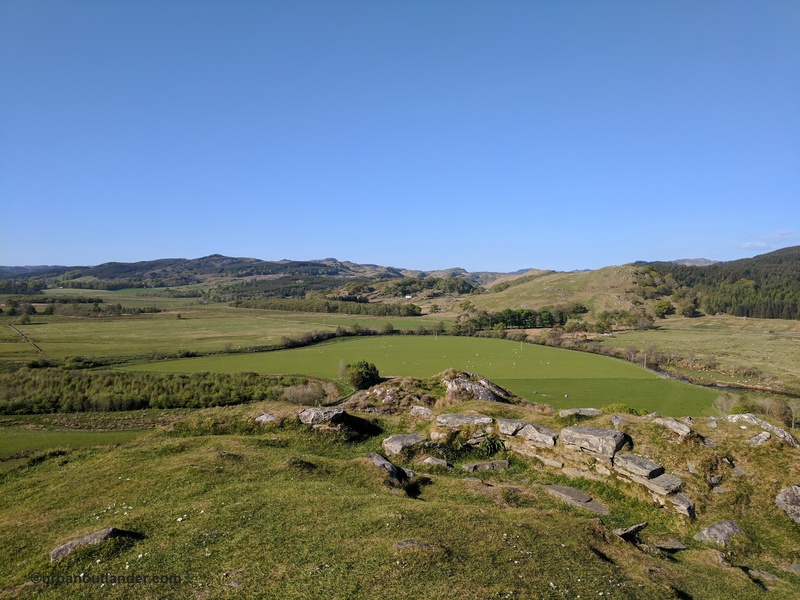 Auchindrain stands as a testament to rural life before the world turned so fast people had no choice but to move to the cities or out of the country. There is a library and museum there where you can grab some tea and maybe purchase a book. Driving further south, we come to our second stop at Kilmory Knap Chapel a medieval chapel whose place in history involves ancient relics of Christianity. As I park my rental car I call Snowflake (it is pristinely white), I notice my front tire is a little low. Filing that in the back of my mind, we walk over and Àdhamh hands me an old key to unlock the wooden door to the place. Dating back to 1200 AD, early Christian engravings found on stone slabs suggest that this site dates back even further. From the site, we look out on a clear day as the blue water ambles by this small peninsula. You can see the islands of Jura and Islay from where we stand. Upon our return, Snowflake dutifully awaits but this time the low tire I noticed earlier is now completely flat. There must have been a leak. 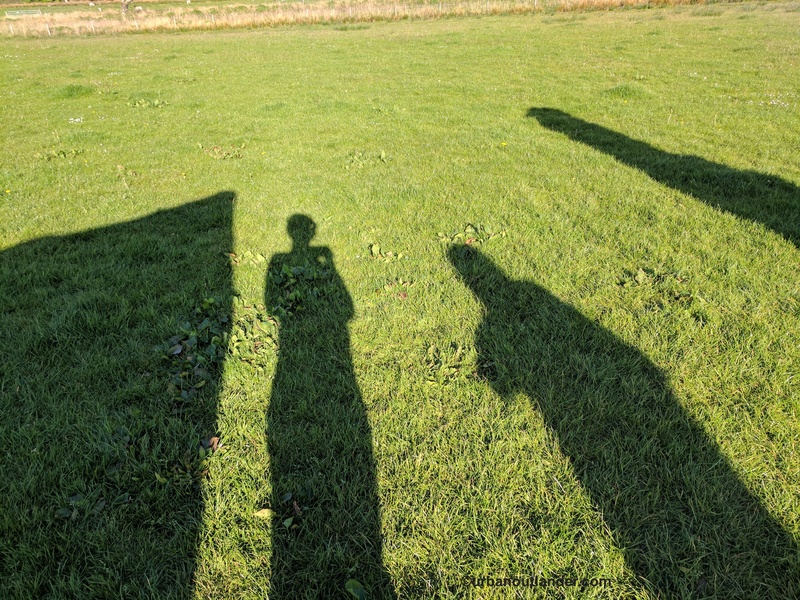 Àdhamh and I are (what I deem to be) in the middle of nowhere. Yes there are a few homes nearby but certainly none of the sheep or fish by the loch are in a position to help. “This is the second time this has happened to me while giving a tour!” Àdhamh marvels. It was only a few short months before when another guest had the same problem. He begins searching for the car jack in this wee rental. Like any responsible driver who likes to follow-directions-but-really-I’m-from-the-city-and-don’t-know-anything-about-changing-flats-and-I-can’t-access-YouTube-on-my-phone-cause-there’s-no-reception, I look through the car manual (that Àdhamh tossed to the side) and find the car jack’s location secretly located underneath the driver’s seat. Àdhamh didn’t have the patience to look through the manual but I did. That was my contribution to our predicament. It turns out that not only does he have linguistic skills but his ability to change a tire is impeccable! After the poor lad got on the ground and for a good fifteen minutes changed the tire, we were back on the road. My visions of knocking on doors and pleading with someone to help abated. Big sigh of relief! 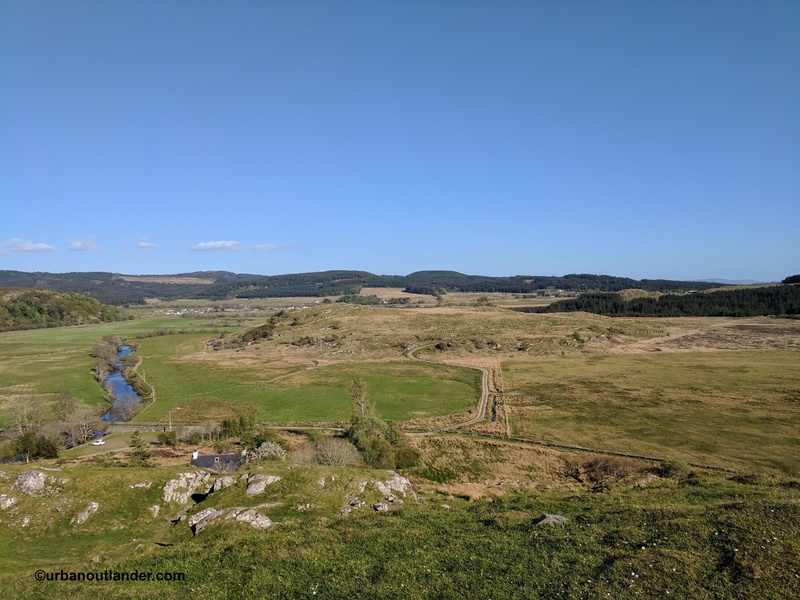 We travel north to Dunadd. 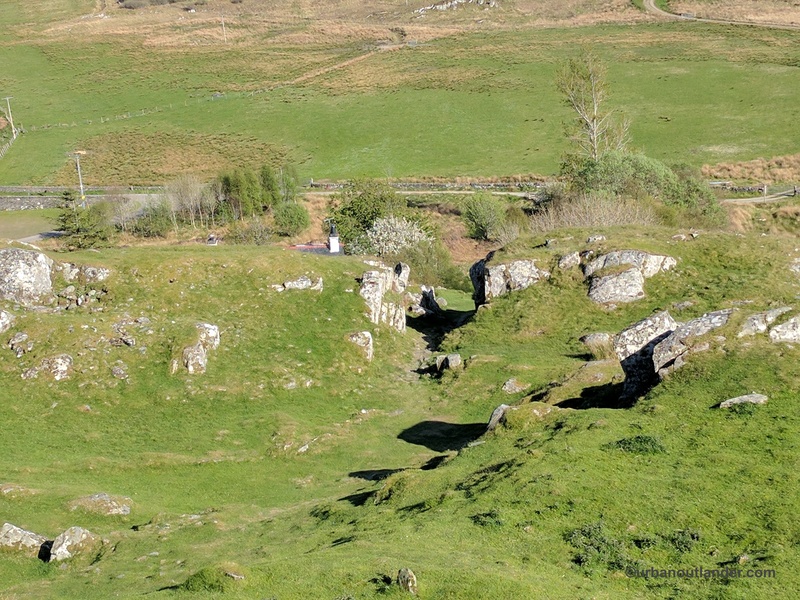 This is an ancient capital of a Gaelic kingdom (approximately 2,000 years ago) whose fortress sits on top of a hill. Only a mound with scattered stones remains. We make our way up a soft grassy pathway winding around and pass stonewalls that mutely keep their ancient secrets. The Gaels (or Scots as they’re also known) built this city but when they mysteriously left, they took the answers to these many riddles. We reach the summit of the forthill and can see far and wide on this beautiful clear day! 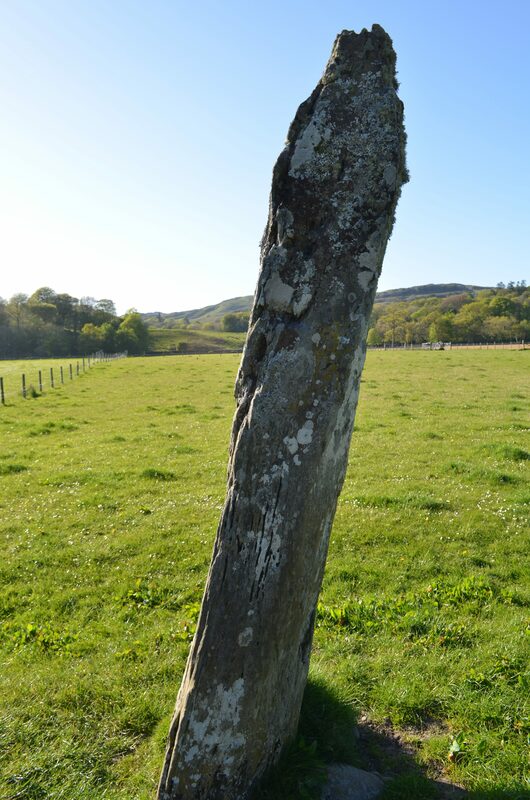 Àdhamh pointed out a footprint indentation on a slab that has been replicated to protect the original one beneath. This is believed to have been used for ceremonies anointing a new king wherein they would place their foot where others stood before. 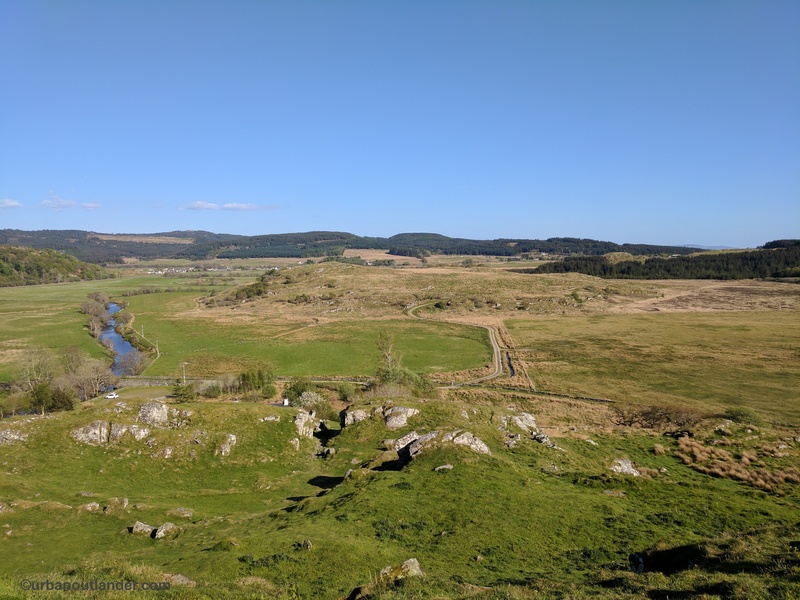 Imagine standing at the top of this hill looking out on the land (it would’ve been surrounded by sea at this point) as you take your oath to protect the kingdom of Dál Riata and its people. Entrance to this site is free but to learn a little more and get more flavor of the history check out this blog The Hazel Tree. 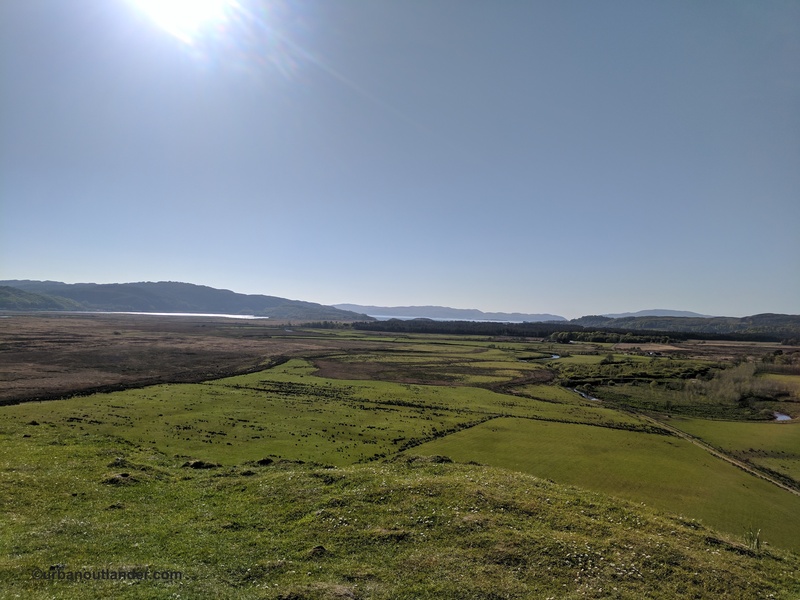 It’s time for lunch so we make our way to nearby Tayvallich which is a quaint coastal town and a perfect place for lunch looking over Loch Sween! Àdhamh and I talked about the cultural and historical similarities of the Scots and Native Indigenous tribes in the US. The colonial histories share very similar paths and though this is not a competition of who got the shortest end of the stick, I would argue that the Native tribes of the US have yielded a far greater disadvantage. My trip so far has taught me a lot about Scottish history and through it I learn the struggles that continue to reverberate today in this small country. Understanding the nuances of its history through the Battle of Culloden and the relationship with the English before and after paints a fuller picture for me that was previously nothing more than a blank canvas. …and a pop over to see medieval Old Castle Lachlan on its own little island on Loch Fyne. By the way, enroute to this castle, Àdhamh and I almost die when my fear of driving on single lane roads in this country almost comes to pass. This back road has small hills like waves and while driving over one an oncoming car suddenly appears fast! I slam on the breaks. We are unharmed but I can’t help but exclaim that locals drive a little too fast for my liking on these roads! A few days before when I drove south to Glasgow from Skye, I popped into this little town since you can’t miss it off the A83. Inverary has a castle and a jail, both now museums, but we’re stopping for dinner. The town (population a wee more than 600) is considered a great example of a “new” town in 18th century Scotland. Its Georgian architecture with white facades and black trim makes the town distinct amidst the natural blue, grey, and green of the area. It sits right infront of Loch Fyne which is conveniently along a main highway called the A83. As you head south over the Aray Bridge, you’ll be able to see the town’s castle over your left shoulder. 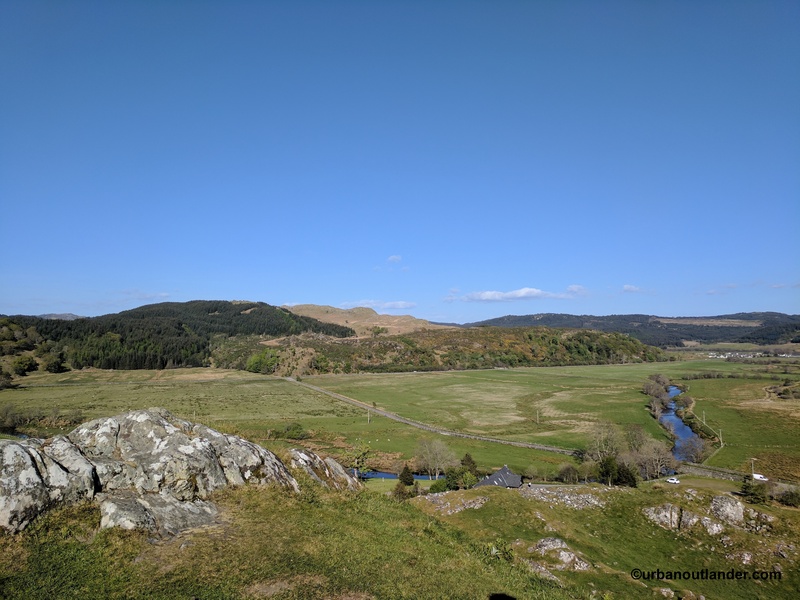 Here’s the fun fact: The A83 road and bridge is the same route of General Wade’s military road that was created back around 1775. This road and others like it in the area were created since Inverary was an isolated town and the nearest carriage-appropriate road was forty miles away. Because of its isolation, the English decided that in order to squander any insurrections, troops needed accessible roads and bridges to easily move along so they built them. This is an interesting piece of historical trivia for Outlander fans because it all happened after and because of the 1745 Jacobite Rebellion! Yay history! Check out more here. For dinner, The George Hotel Restaurant is a fine establishment with original solid flagstoned floors and deep colored oak panels. It retains its old pub feel and many locals dine there. 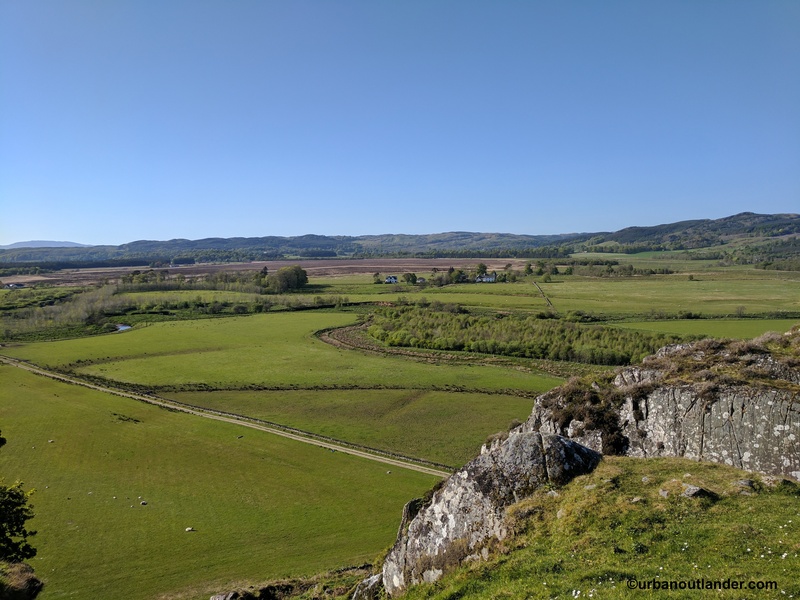 Over beers, Àdhamh tells me his tales of traveling and meeting Outlander fans – the good, the bad, and the ugly…stories I mean! Not the fans. On the road back to Glasgow, Àdhamh sings some Gaelic folk songs as I drive past Loch Lomond in the inky black dark of the night. 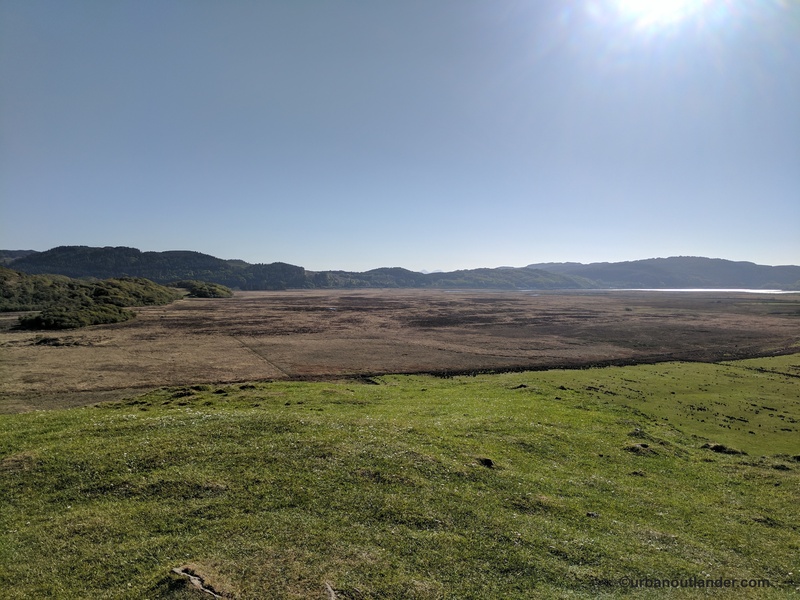 I didn’t expect to have a long day but I also didn’t expect to visit so many places in Argyll! There is so much more to see and do but I get a nice taste of the ancient places that quietly exude their stories. Àdhamh is so passionate about the work he does and it’s refreshing to hear a unique and frank perspective about what’s going on socially and politically in his country. Also, he tells some great ghost stories. After dropping him off, I head home and get ready for my very last day in Scotland. Tayvallich Coffee Shop, Lochigilphead – A lovely restaurant for lunch, scones, or coffee looking out over Loch Sween. Lunch was £21 for two people including beverages (approx. $28.38 USD). 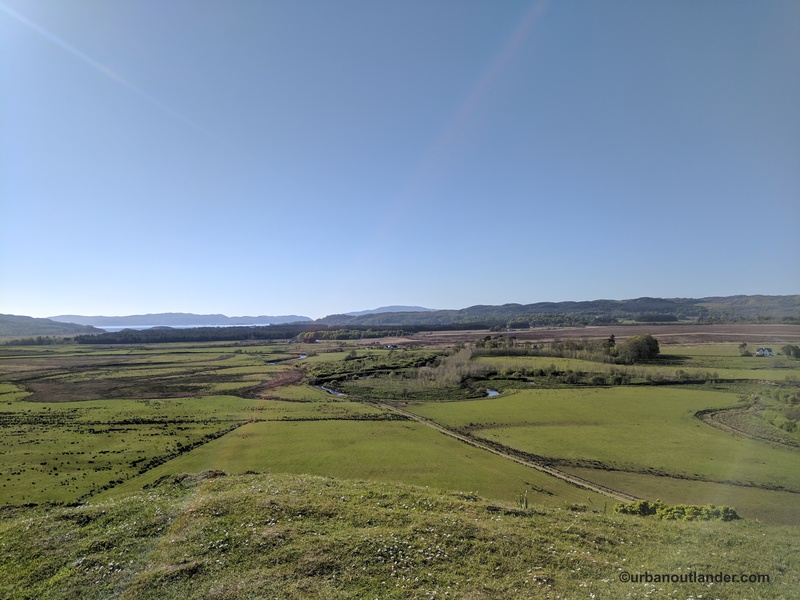 Catch up on the other days of my trip and all the Outlander places I visited! 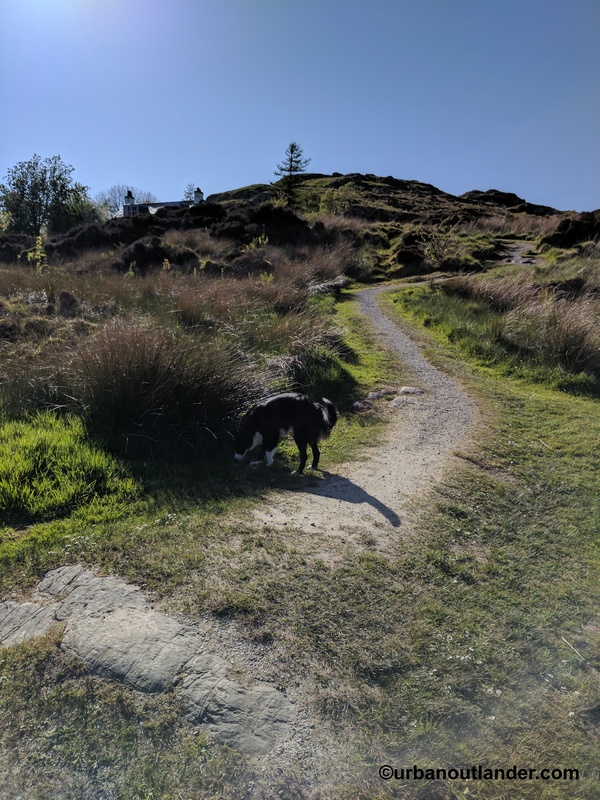 Series Navigation << Urban in Scotland: Glasgow – Am I being punked?